...Maternity tights seem like a really grand idea. Mmm roomy. 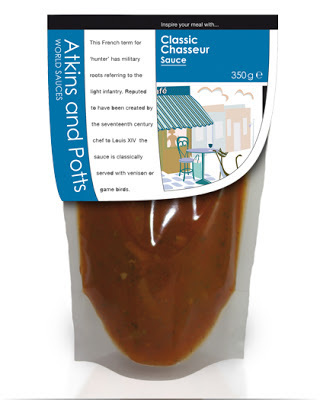 The sauces themselves are genuinely well made and the flavours are fantastic. I tried the proper hot and tasty vindaloo, the boozy and wholesome chasseur and the exotic and full flavoured harissa, great with salmon! Best of all, you have the convenience of something ready made - convenience is something that all GFers secretly long for! I have found my gluten free and egg free product(s) of the year! 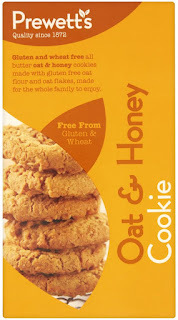 I am utterly besotted with Prewett's Oat & Honey Cookies and Lemon Shortbread! I found them in a larger Tesco. It was an impulse buy - I thought that all GF biscuits were much of a muchness, but was I wrong! These are on another level. Great texture, great flavours and very more-ish! I hope these guys get on Twitter or Facebook soon so I can see what's out next!